2012 was a really good year for Hindi films when quite a few content-focused films without any big/well-known stars made a major mark not only with film critics but also at the Box Office. 2013 also looks promising for Hindi films, but Kai Po Che's success is particularly special in many ways. While receiving almost unanimous acclaim with the audience, even though Kai Po Che had a decent opening at the Box Office, the film has managed to sustain very well throughout the first week while the second week has also opened on a good note. It is rare that a film studio/producer backs a relatively big budget film without a major star and also market it with all their might. 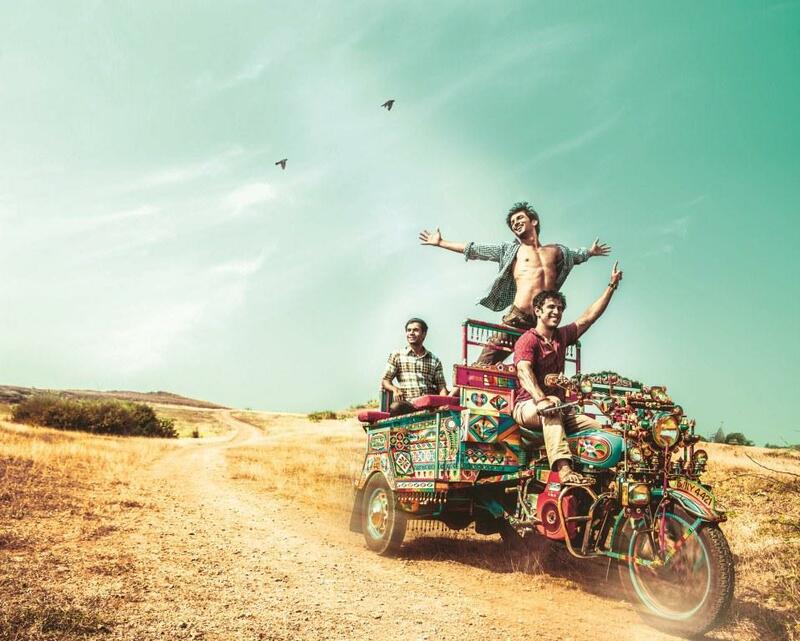 UTV has been at the forefront of backing unconventional film projects however they were always either small-mid budget films or had a popular star while in case of Kai Po Che, it has a fairly good budget but without the presence of a big star. Whatever the actual budget of the film(reportedly around 30 crores including print/publicity costs) the producers didnt seem to compromise on production standards and it is quite a demanding film in terms of scale and scope. There is always a temptation of getting a big star to act in a film as it increases the commercial viability of the film while also making the task of marketing it much easier as it brings public and media attention in the currect scenario where a film doesnt get enough screen space if it doesnt manage enough buzz and a good opening. Being backed by UTV, directed by Abhishek Kapoor whose last film was a major commercial success and based on a novel by Chetan Bhagat whose last two novel's adaptations had some of the Hindi film industry's biggest stars associated with them, it wouldn't have been difficult for them to get a major star working in the film however the decision to go ahead with relative newcomer/unknown actors to bring in freshness while not deviating attention to a renowned star in a film with real-relatable and unapologetically 'imperfect' main leads is commendable. In Hindi film industry, while its common for screenwriters to remake/adapt(legally or otherwise) successful Hollywood or South-Indian films its rare that unlike Hollywood they adapt literary pieces since its particularly challenging to skillfully adapt something which is meant to be read, for screen and do justice with it. Kai Po Che's screenwriters(which includes the director and the original writer of the novel) have wonderfully adapted 'The 3 Mistakes of My Life' while being faithful to the original plot for most parts but giving new dimensions to characters and depiction of situations which shows that the filmmaker has not merely translated the book on screen but owned the characters and the story. 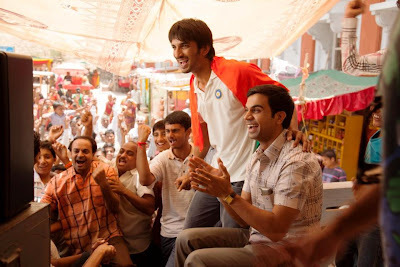 However the most crucial thing which Kai Po Che has done is the way it has smartly depicted politically and socially sensitive incidents which has happened in our country even though the core focus of the film was the relationship between three friends in backdrop of real-life events in Gujarat at the start of the new millenium. Its hard to remember the last time a mainstream big-budget film dared to deal with such incidents. 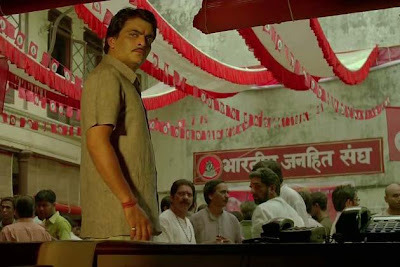 While a reason is that the filmmakers lack precedents of such films to be confident about carrying them off, there is also a big fear of a film with sensitive content getting censored or facing objections by CBFC(better known as Censor Board) or being opposed by powerful vested interests who have often used their might to threaten film exhibitors from showing films that may harm their political interests. Earlier Parzania and Firaaq both of which dealt with Gujarat riots and its aftermath faced problems in theatrical release in Gujarat for this reason despite being cleared by CBFC. While films with smaller investments and books can survive bans, for a big budget film it can mean unaffordable financial losses. 'The 3 Mistakes of my life' was full with gutsy references to Hindu-Muslim politics and involvement of Hindutva politics in Gujarat riots, therefore when I first heard that a film was being made on the novel, I was really interested in how it will deal with them even though I had expected the film to play safe and steer away from incorporating political angle with respect to Gujarat riots in the film. However I was pleasantly surprised that the film did not shy away from political references while also playing it smartly in changing the color of the flags and the name of political organisation(which in the novel is referred as 'Hindu party'). The socio-political events of India offer a lot in terms of story-telling to writers filmmakers however most of our major filmmakers have avoided dealing with them. Its not just a loss for filmmakers but also for the potential of our cinema in reflecting on events that have shaped our country and society. Hopefully Kai Po Che has shown that though with certain limitations, even mainstream films can deal with socio-politically sensitive topics without having to compromise on them while also pushing the limits for other films. Good Review .... Apan, I agree with your views.